Seversky developed the P-35 in 1935 to compete in a bid to win a competition announced by United States Army Air Corps (USAAC) for a new single seat fighter. After some delays he eventually won the competition receiving an order for 77 planes in 1936. However, not very satisfied with the P-35, the USAAC decided to place the next order in 1937 to Curtis. Instead Seversky modified the P-35 with a stronger engine into P-35A and went on a European tour in 1939 to try to sell it there. 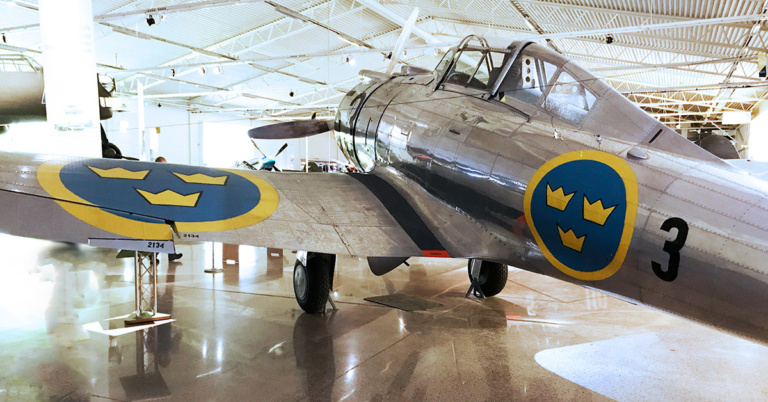 In Sweden he succeeded to receive an order for 15 planes on 29 June. A second order for a further 45 planes was placed on October 11 followed by an order for another 60 in January 1940. These 60 planes were never delivered due to the U.S. weapons embargo. They were instead diverted to the US Army Air Corps and some 45 were sent to the Philippines to the Far East Air Force. When the Japanese attacked the P-35A was severely outclassed and suffered many causalities. Building the Seversky P-35 in scale 1/42? Hobby craft released the Seversky P-35 in scale 1/48 in 1993. It has since been released in different versions by Hobbycraft and also re-boxed by Academy in 2004. Dora Wings has announced a new kit with new tooling to be released 2018 (writing this in December 2018 one begins to doubt this).